Californian Quail are my favourite bird to shoot. They are small, quick and cunning. I shoot in pretty thick areas, with lots of gorse, blackberry and trees so the Quail can dip and dive and get behind structure and away from shots quickly and effectively. 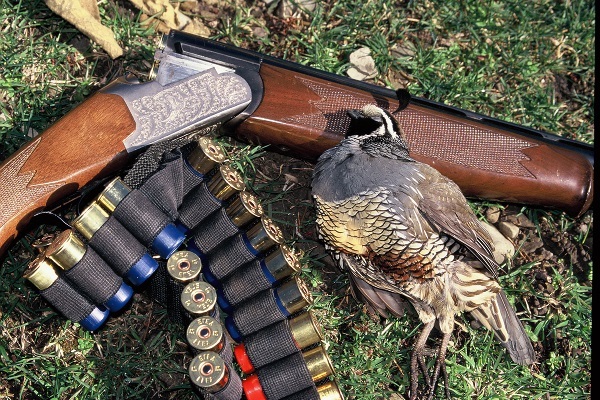 The secret to quail shooting is react and not think. Get the gun up quickly and pull the trigger. Quick reflexes are much more important than being a great claybird shot, and you need a gun that mounts easily and shoots comfortably, especially when you are off balance and don’t have perfect footing. Quail are incredibly quick. Good shots I know will come out with me and struggle to hit quail because they are too slow to get the gun up and the quail is gone before they get the shot away. An aggressive mount and swing makes a big difference, but it takes really good clay shooters a while to get the field craft necessary to consistently hit quail.